The Greater Palm Bay Chamber of Commerce is currently looking for local artists and jewelry designers to showcase their best work! Artists receive a complimentary space to showcase their art when they donate a piece to the auction. This is a key signature fundraising event for our Chamber of Commerce which supports the business and economic development of our communities and is a popular, well attended, upscale evening auction. Come meet local artist, enjoy wine and Hor d'oeuvres and walk away with fantastic art and jewelry. 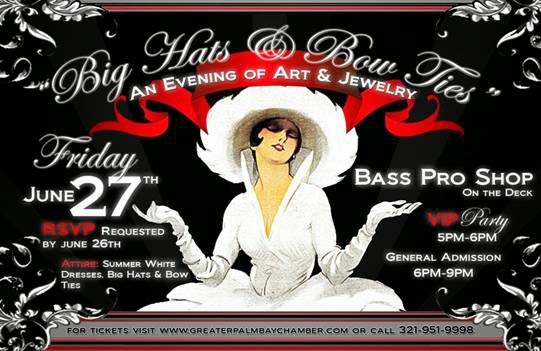 Purchase tickets at www.greaterpalmbaychamber.com or at the door. CALL today for details as space is limited. 321-951-9998. Check out our website for upcoming events and news!